Creature Creature was conceptualized by MORRIE, vocalist and co-founder of the legendary band, DEAD END. As a leader in visual kei, DEAD END, made a serious impact on Japanese rock while MORRIE’s extreme vocal style influenced both musically and esthetically many bands and singers. In 2005 Creature Creature began as MORRIE brought together other respected and interesting musicians in collaboration. Minoru (The Spin, ex-Mad Capsule Markets, guitar) and tetsu (L’Arc-en Ciel, bass) came on board with MORRIE resulting in power driven songwriting. In a surprise unannounced performance, the unveiling of Creature Creature was at Nippon Budakan JITB to a screaming and enthusiastic audience of 20,000. Later in 2006, Light & Lust was released on the Danger Crue label. During the Summer of 2009 a different creature emerged. Additional monstrous songs were written and MORRIE brought together members Hiro (Libraian, La’cryma Christi, guitar), Shinobu (ex-Guy’s Family, guitar), Hitoki (Kuroyume, Dummy’s Corporation, bass) and Sakura (Rayflower, S.O.A.P., ex-L’Arc-en-Ciel, drums) for the sold out “Simone and the Wrath” series which continued throughout the Fall. During Winter 2009 Creature Creature took the tour to China and ended the year at JITB Nippon Budakan and Beat Shuffle. In 2010 and 2011 the band made many guest appearances for radio and were featured in numerous issues of Fool’s Mate, Ongaku to Hito, WeRock, and online reviews in Bark’s News and JaME. With the all-star line up, Creature Creature recorded INFERNO (July 21, 2010 release) and finished the triptych tours of Purgatory, Inferno, Paradise which took place during Summer 2010 (Purgatory), Winter 2011 (Inferno) and Spring 2011(Paradise). On June 12, 2011 the single PSYCHE TELOS was released. 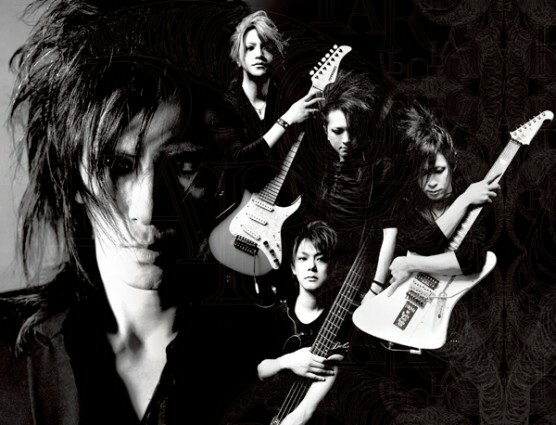 “Exorcising Orpheus”, the live concert DVD will release on Oct. 10, 2011.